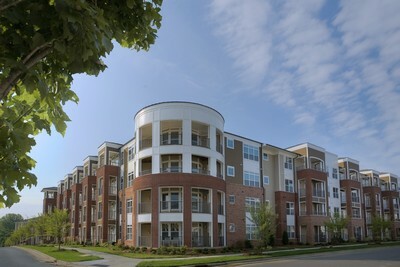 Contemporary city-style apartments all conveniently located within walking distance to Ayrsley Town Center. Step out your front door and stroll to shopping, dining, a 14 screen movie theater and a great variety of every day conveniences. I would recommend this apartment community because it is convenient, safe, quiet and an overall good value. As a matter of fact, I recommended this apartment community to a colleague who recently signed a lease. I always let people know how happy I am living here. Office personnel have been awesome! Thanks So much for your kind words:) We really take pride in our community and so happy you are enjoying Gramercy! Upkeep on interior and exterior of buildings is lacking. The overall appearance of the community and buildings have gotten worse and the rent keeps going up. I lived here previously and I love it! The apartments are the perfect size and the area is great! All office staff has been excellent! Michele! Thank you very much for taking the time to tell us your thoughts! We are so happy you have enjoyed your apartment and glad you are back with us again! Please don't ever hesitate to let us know if you need anything:) Have a great week! This place is great. I came from a home to apartment so I felt the transition wld be difficult...but the great staff really made that great for my family. Thank you so much for a great review! We take much pride in our staff and community - We are so happy you are enjoying Gramercy! have a great week! Staff is always friendly. Neighbors are friendly. Community feels safe. Thanks so much for a great review! We appreciate you taking the time, and we are so happy you have enjoyed Gramercy! Have a great week. Overall community/ buildings could be better maintained. Better enforcement of residents leaving trash/ trashcans in hallways for an extended period. I have not had a great experience living in this neighborhood at all. The neighborhood as really gone down hill since I moved in as far as cleanliness and office staff. Thank you for posting your thoughts about living at Gramercy Square. Reading these reviews and hearing resident feedback is important to us, as we use it to make our community better for all of our residents. Resident satisfaction is of utmost importance to us and as soon as we are notified of a concern, we address it swiftly. We want to make sure you are comfortable in your home, so please contact us directly, either in the office or via email at gramercysquare@simpsonhousing.om. Thank you for choosing our community as your home! I definitely would and have recommended this community to others it's beautiful, convenient,peaceful and for the most part safe. Thank you so much! We are SO happy you love your home here at Gramercy!! it really depends if a person is okay with rent that is higher than it should be and pets that have first place before people.